High performance 2 pack anti-corrosive Zinc Phosphate primer for premium protection. 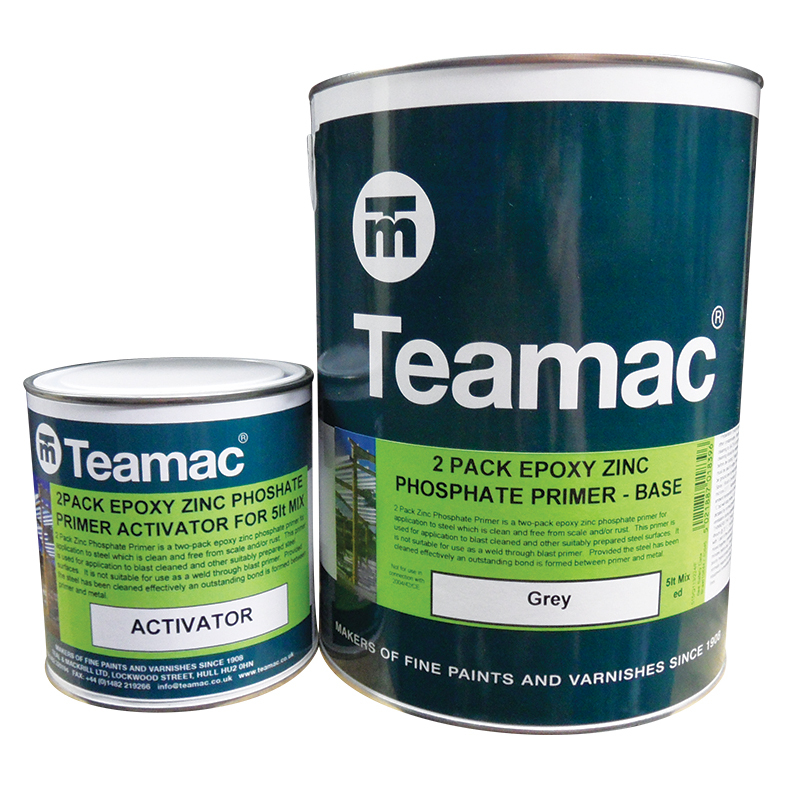 Teamac 2 Pack Zinc Phosphate Primer is used for application to blast cleaned and other suitably prepared steel surfaces. It is not suitable for use as a weld through blast primer. Provided the steel has been cleaned effectively an outstanding bond is formed between primer and metal. Once the two parts are mixed together the material has to be used within the time stated.